Today we completed our first product prototype - crash bars for the Suzuki V-Strom. 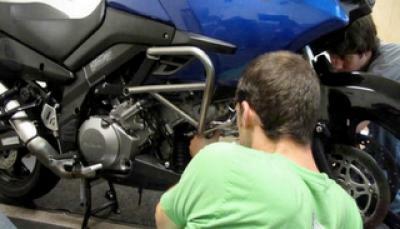 The crash bars are designed and fabricated to transfer the sheer load to the frame instead of the hardware. They are constructed from 304 stainless steel 7/8” tube and are hand TIG welded. A few minor changes and tweaks were identified during the fitting, but overall we were very happy with the end product. Next on the list is the Suzuki skid plate that attaches to the crash bars. Stay tuned!